Created 4 Creativity : Hope You Had a Wonderful Holiday! I just wanted to pop by again today and say hello and that I hope you have had a lovely holiday surrounded by those you love. I've been wanting to use the Reel Life die from MFT Stamps since the day I bought it. Well, I decided this was the day! 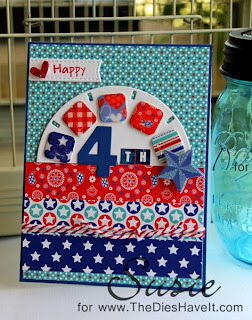 I grabbed some of the new Doodlebug paper and put my card together in a flash. No matting at all - just some layering. I popped up the little squares on chipboard and then covered them with patterned paper and Glossy Accents. I love the way the card turned out! So bright and cheerful, I think. So that's it for now. I am home in my air conditioned studio and happy as can be! Love the bright colors of all the papers. 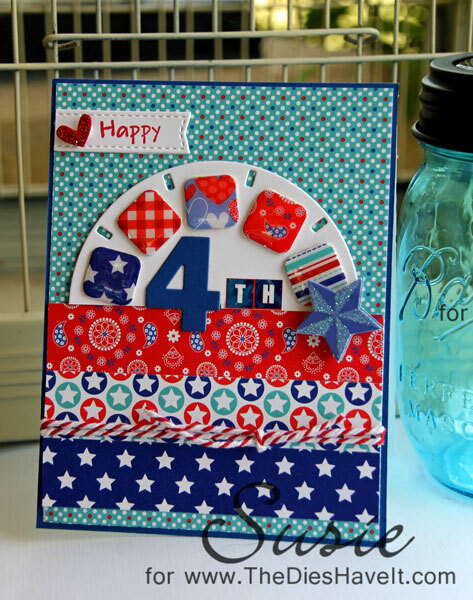 Cute and fun card.